Prisoners at a maximum security jail are being given 'performance-related pay' as an incentive for learning to read and write. Inmates at Full Sutton prison, near Pocklington, which houses some of the country's most dangerous criminals, are being offered places on a literacy and numeracy scheme. The hope is that the scheme will help to cut re-offending rates. The educational programmes, run with the help of East Riding College, are modelled around the individual's pace of learning with a one-off payment on successful completion. 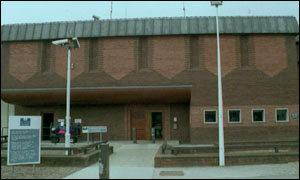 The jail takes catagory A prisoners and includes some of the most difficult inmates in the system. The prison's board of visitors has welcomed the new initiative in its annual report.